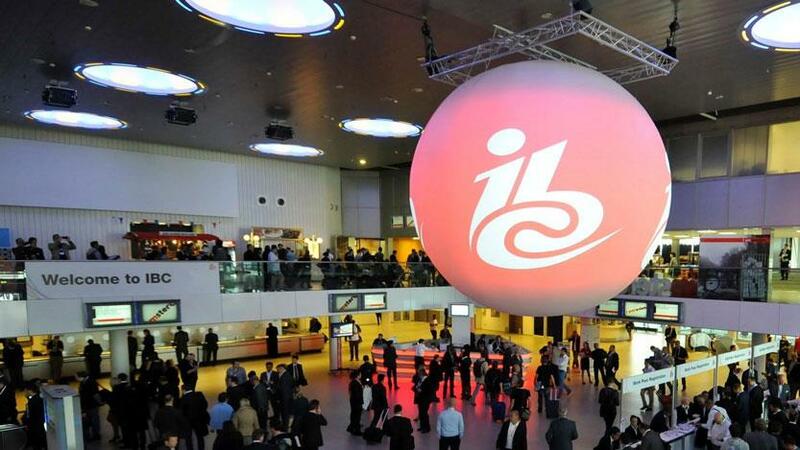 The 2018 version of IBC is now in the books, and what a show it was. There were plenty of new product introductions, product updates and a few surprises along the way. Let’s take a quick first look at some of new products and updates that we will be reviewing in the coming months. I will be the first to say that I have been an Adobe end user for quite a while. I actually like the fact that with each new announcement Adobe keeps pushing me to get better in post. Adobe gets that not everyone is going to be lights out in post so the toolset is what level you can comfortably work at. I like that. Adobe unveiled new video features coming to Adobe Creative Cloud that will speed up production timelines, enable more seamless workflows and deliver capabilities to bring filmmakers’ and video professionals’ creative visions to life. The updates include Adobe Sensei-powered animation, intelligent audio cleanup tools, selective color grading, advanced data-driven motion graphics templates and end-to-end VR 180 support. Mesh Sculpting Mold layers into new, dynamic shapes with new Mesh Sculpting tools that twist, bend and scale under your creative control in After Effects. Leveraging artificial intelligence and machine learning technology in Adobe Sensei, instantly create and animate unique, stylized puppets using a webcam and reference artwork with Character Animator’s new Characterizer. DeNoise and DeReverb instantly improve audio with intelligent cleanup tools, DeNoise and DeReverb, in the Essential Sound panel in Adobe Audition. Dial down or remove background noise and reverb from a sound clip that’s been adjusted by adaptive algorithms. Lumetri Color Tools new software updates take the guesswork out of curve adjustments and bring simplicity and precision to selective color grading and color management. Data-Driven Infographics drag and drop spreadsheet files to Motion Graphics templates to generate visual representations of information within video projects in Premiere Pro. Immersive Video Adobe added new support features for 180-degree immersive video in Premiere Pro and After Effects, including optimized ingest, effects and output in Google VR 180 for viewing on YouTube or other platforms. 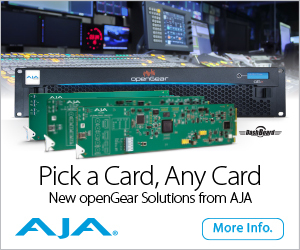 Blackmagic Design continues to surprise end users and media professionals. This year at IBC was no different as Blackmagic Design unveiled Blackmagic RAW Codec. Why is this so important to you and me? For years people have been clamoring for a better and easier way to handle RAW files, but it is was the backend that was killing people and their budget. Here is a look behind the Blackmagic Design curtain. Blackmagic RAW is a new (beta) codec that combines the quality and benefits of RAW with the ease of use, speed and file sizes of traditional video formats. Blackmagic RAW is a format that gives customers the freedom to work in RAW. The free download in public beta for use with URSA Mini Pro cameras via the Blackmagic Camera 6.0 Beta Update. In addition, DaVinci Resolve 15.1 Update, which includes support for Blackmagic RAW, is also available free of charge from the Blackmagic Design website. Blackmagic RAW includes technologies such as an advanced de mosaic algorithm, metadata support, optimized GPU and CPU accelerated processing It can be used from acquisition throughout post-production for editing and color grading, all from a single file. This results in encoding that gives customers the same quality, bit depth, dynamic range and controls as RAW, better performance and smaller file sizes. Because the processor intensive partial de-mosaic is done by the camera hardware, software such as DaVinci Resolve doesn’t have to do all the work. Quantum unveiled the latest version of StorNext®, content production and archive storage platform. Designed with new enterprise capabilities focused on integration with cloud resources, data protection functionality, and support of collaborative environments, the newest version of StorNext will help media organizations worldwide meet tight production deadlines. 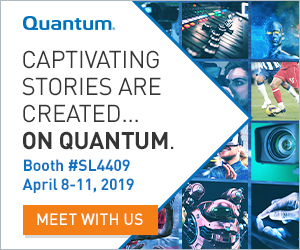 Quantum will also showcase the latest NVMe flash technology, as well as the Xcellis® Scale-out NAS shared storage appliance. As working in file formats beyond 4K becomes more mainstream across the media and entertainment, organizations require a storage solution that can support larger workflows. Xcellis storage appliances provides delivery over 17Gb/s single client streaming performance. Integrated with Quantum's StorNext file system, these storage resources can be shared cost-effectively and all data is accessible by multiple clients. The Sennheiser is a microphone for smartphones. The audio mixer within the Memory Mic App lets you select any ratio between the audio captured with the Memory Mic and ambient sound. The smartphone microphone is fitted with a high-quality, omni-directional condenser capsule. The mic is attached to the clothing with a “fabric-friendly” magnetic clip. For a report, commentary or documentary, the Memory Mic is simply synchronized with the smartphone app and attached to the clothing via the magnetic clip. The 30g microphone replaces heavier equipment while still allowing the journalist to deliver excellent audio quality for the job at hand. When recording with the Memory Mic, the integrated microphone of the smartphone is also active and works to concurrently pick up ambient sound. Using the dedicated audio mixer of the Memory Mic App, the user is able to select the balance between ambience and the audio captured with the Memory Mic at a later point in time. 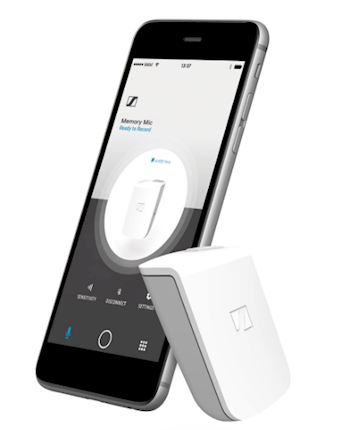 The wireless Memory Mic does not occupy any input on the smartphone. Journalists can still employ additional accessories such as a gimbal or connect an additional wired microphone for interviews. For iPhones, Sennheiser offers the HANDMIC Digital or the ClipMic digital. The Memory Mic features a condenser capsule with omni-directional pick-up pattern. The omni characteristic is particularly resistant to wind noise and very forgiving if a speaker changes the angle and/or distance at which he or she is talking into the microphone. Via the app, the sensitivity of the microphone can be set at three levels in order to adapt to louder or softer voices. The operating time of the microphone amounts to up to four hours – a full recharge of the integrated lithium-polymer battery via the USB port takes two hours at most. Within an hour, the battery has recharged to about 70% of its full capacity. Cooke Optics added further depth and character to its Cooke Anamorphic/i lens family at IBC 2018, when it presented the 50mm focal length of the new Anamorphic/i Full Frame Plus range. This addition to the Anamorphic/i range has been designed to meet the growing appetite for large format production while applying the popular anamorphic characteristics including flare and oval bokeh. The image circle will cover a full 24x36 still size sensor, with a 1.8 squeeze. Like all Cooke lenses, the Anamorphic/i Full Frame Plus range will include /i Technology that collects detailed lens data for VFX and post-production teams. 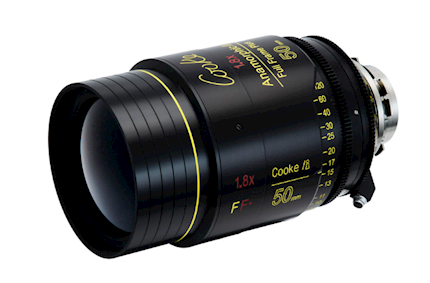 Cooke also presented the Panchro/i Classic 65mm Macro and 21mm lenses for the first time, as well as various lenses from the S7/i, miniS4/i, Anamorphic/i and Anamorphic/i SF families. These new products and announcements are pretty exciting. I cannot wait to get some products in-house and start writing them up! Stay tuned it is going to be a lot of fun!